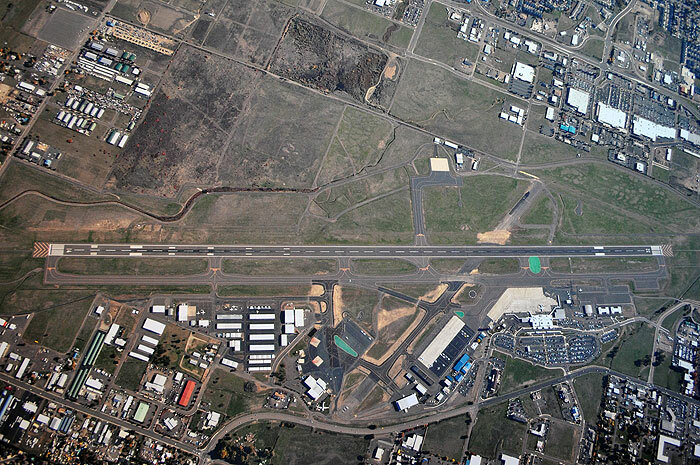 The Rogue Valley International-Medford Airport is located in southwestern Oregon on 855 acres adjacent to the city of Medford, Oregon's central business district. The Airport is located north of the I-5/Highway 62 interchange. The Airport serves the Southern Oregon/Northern California region, with the majority of the Airport's users residing within Jackson County. In 2016,over 822,000 passengers used air transportation and aircraft operations totaled over 39,000. The management system at the Rogue Valley lnternational-Medford Airport consists of an Airport Advisory Committee/Director System. The Airport Advisory Committee is comprised of nine members appointed by the Jackson County Board of Commissioners. The goal of the committee is to act as an advisory board to the County Commissioners working through the Airport Director on matters of public concern. Their agenda also includes helping to formulate and recommend priorities for capital improvements and further expansion of the Rogue Valley International-Medford Airport. The Airport Director is responsible for the operation and maintenance of the airport to meet the safety standards required for continued certification in accordance with Federal Aviation Regulations. The Director is also a professional public relations agent for the Airport, its expansion, and its future.